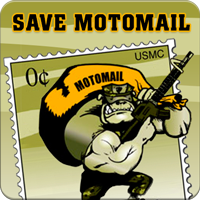 We begin this issue of our newsletter with a look at our newest campaign, Save MotoMail. September is Suicide Prevention Month and our second piece looks at the statement released by Secretary of Defense Chuck Hagel to mark the occasion. 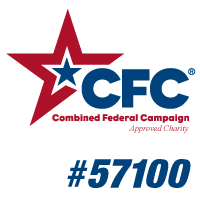 This year, the Combined Federal Campaign (CFC) has added a new way to donate to the charity of your choice--setting up an online "My Pay" account. Our third article provides more information on "My Pay," as well as information on how to sign up for it. Next Thursday, September 19, is our monthly online chat session with Dr. Bridget Cantrell on the topics of PTSD, COS, and TBI. Our fourth piece provides information on how you can participate. 12 years ago today, the world as we all knew it changed. 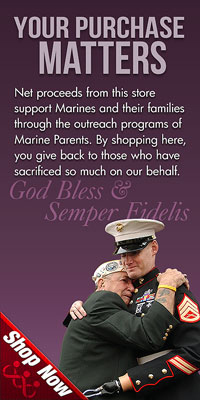 Our fifth article looks at how the tragic events of September 11 led to the founding of our organization, MarineParents.com, Inc. Finally, we take a look at this issue's Team Marine Parents Featured Participant--a proud "Marine Mom" from New York--Sherry Canzano. September is Suicide Prevention Month and to mark the occasion, Secretary of Defense Chuck Hagel released a statement last Tuesday, September 3. 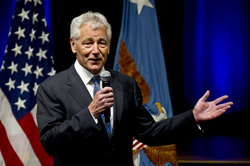 In the statement, Hagel expressed his concern over the military's suicide rates and discussed efforts the Department of Defense is undertaking to combat this problem, including spending more than $100 million on research into the diagnosis and treatment of various factors associated with suicide, attempting to reduce alcohol and substance abuse issues within the military, and increasing suicide prevention training for military members. Signing up for "My Pay" is strictly voluntary. article, then forward it to folks you know who would benefit from next Thursdays's online conversation with Dr. Cantrell. 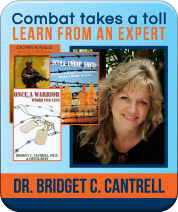 Dr. Cantrell has written several books on combat recovery, post-traumatic stress disorder, and warrior transitioning. 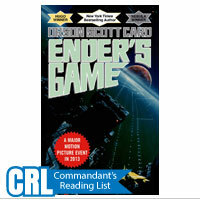 Two of her books are on the 2013 Commandant's Reading List! 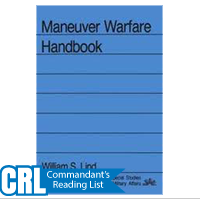 Click here to review or purchase Dr. Cantrell's books. 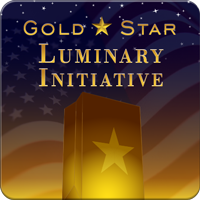 Military personnel (current or past conflicts) and their families who are interested in knowing more about issues related to combat recovery and warrior transitioning are encouraged to participate in the chat. Please forward this email to folks you know who should attend. 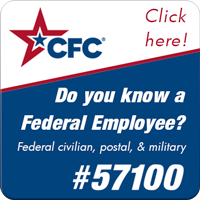 Your participation could make a difference in the life of someone you love. Today, September 11, 2013, marks the 12th anniversary of the single largest loss of life from a foreign attack on American soil, ever. Almost 3,000 people lost their lives on that Tuesday morning, and more than 6,700 brave Americans have sacrificed everything in the resultant military operations. Rarely does an event have such wide-reaching and impactful consequences, but no one in our country was able to escape September 11, 2001 unscathed in some way. In the 12 years since, we have become more acutely aware of our place in the world and of the fact that many people want to cause us harm solely for being American. We've changed how we view the world and how the world views us. Ensuring our national security became a national obsession (and for good reason) and saw our military engage in conflicts in two countries, first in Afghanistan, and then in Iraq, in an effort to do just that. In short, September 11 upset the balance of the country in a way not seen in decades. However, despite the overwhelming sense of tragedy inflicted by the events on September 11, in the days and weeks after the attacks, around the country other emotions began to manifest themselves as well. Pride. Hope. Unity. Resilience. A desire to help our fellow man. 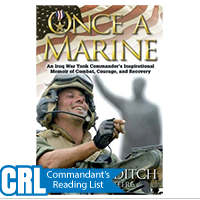 And while she didn't know it at the time, the combination of those same emotions and the tragic events of September 11 would go on to inspire one "Marine Mom" to make a difference in the lives of thousands. Sherry has already participated in one race, the Little Miami Half Marathon in Morrow, Ohio, on August 18 and is working up to "The" marathon, the 38th annual Marine Corps Marathon (MCM) on October 27, in Arlington, Virginia. The MCM will be Sherry's first marathon and she jokingly said that her training is "...the first time [she] [has] done anything more than a brisk walk since 1977 while serving in the USAF" and that she doesn't "...have an athletic bone in [her] body." 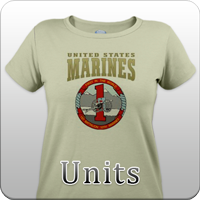 "Am I crazy...No, just very determined to show my support for my youngest of four sons who is a Marine. I support and pray for all the men and women whose commitment and sacrifices allow Americans the freedoms we enjoy." Sherry is one of the more ambitious team members in terms of fundraising, and she decided that the standard $300 goal wasn't enough, so she's attempting to raise $1,000! So far Sherry has raised $330, but with your generous help, we know she can reach her goal of $1,000 in no time! We would like to thank Sherry (and all of our other TMP members) for her hard work and dedication to supporting our Marines. Best of luck in October!